The Brain Balance Achievement Center of Virginia Beach is dedicated to helping children struggling with learning, behavioral, or social difficulties reach their goals. Children with Oppositional Defiant Disorder (ODD) can find success both inside and outside of the classroom due to our drug-free, whole-child approach and personalized programs. Each child enrolled in The Brain Balance Achievement Center of Virginia Beach has a customized plan that address their specific challenges. The first step of your child’s journey with Brain Balance is taking their personalized assessment, which helps our center compile a plan after understanding your child’s individual strengths and challenges. 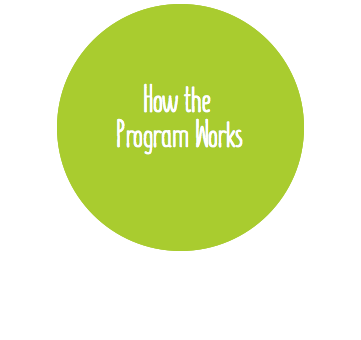 The Brain Balance Program is an integrated approach that addresses the whole-child and combines physical and sensory-motor exercises with academic skills training, nutrition and confidence building. In-center sessions consist of an hour of sensory-motor and academic skills training three times a week. The number of sessions is determined by the results of your child’s assessment. The Brain Balance Achievement Center of Virginia Beach works to improve developmental functions with your child through a drug-free, integrated approach that brings parents and kids together to achieve a common goal of improving a child’s processing and learning ability. Our personalized plans are created with your child in mind. Most children will have in-center sessions at least 3 times per week along with at-home activities; however, frequency and duration of both are determined by the results of your child’s assessment. If your child is struggling with Oppositional Defiant Disorder or another behavior-related disorder, remember you’re not alone. The Brain Balance Program in Virginia Beach offers a holistic approach that has helped thousands of children achieve their goals. Our dedicated staff is here to help your family! Take the first step and give our center a call at (757) 644-6460 or fill out the form on this page to schedule your child’s personalized assessment.